Do you have excess space and need a solution? Many office users find that due to a change in their business, the need for reducing their space may not coincide with the lease term they are obligated to. Or due to significant growth, they may simply need to relocate to a larger facility. 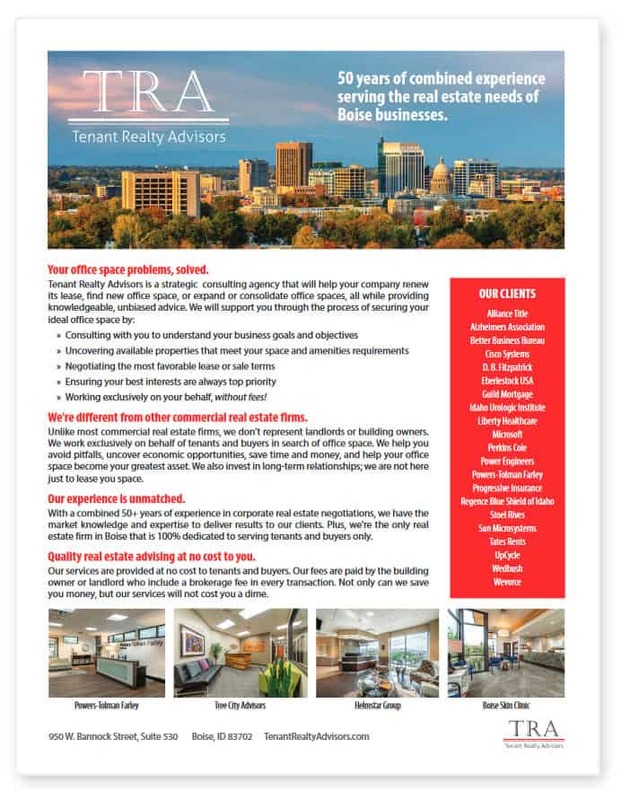 Tenant Realty Advisors can assist you marketing and negotiating for a sub-tenant to take on some or all of your leased space. Our thorough knowledge of the market allows us to advise you on what to expect in rent relief from a potential sublease and also how to navigate the sublease process including marketing, negotiating a deal and obtaining Landlord approvals. Please contact us for more details.